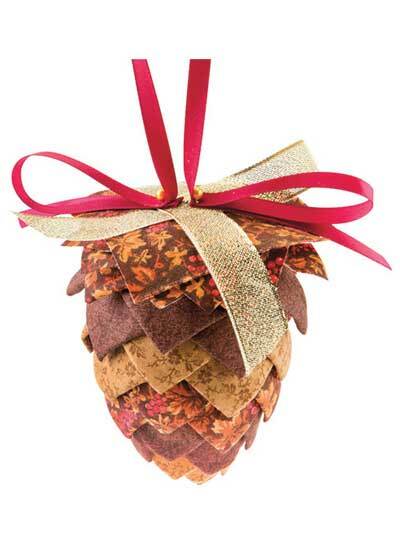 This no-sew pinecone Christmas ornament pattern is easy and fun. A great gift idea! 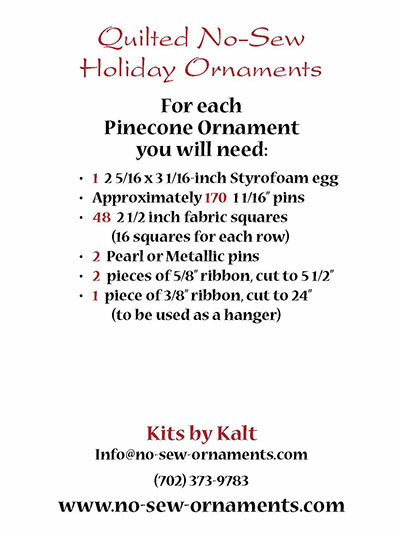 Complete no-sew pattern includes step-by-step photo diagrams and instructions to create a beautiful pinecone for your Christmas tree or to decorate your home. Finished size is approximately 4" long and 3" wide. I just started making these. Easy to make and each one turns out great. I am giving these for gifts this year. They will be hard to part with. But I will just make more. I have made the no-sew ornaments. They are great. 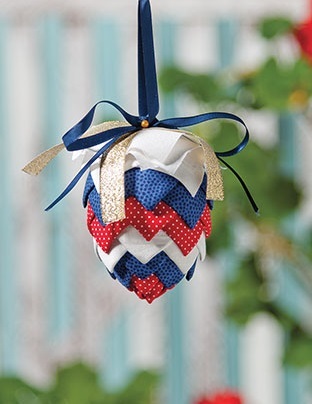 Fun to make, with easy directions to follow. Hope to see more new ones to come! Love making these ornaments very much.